If your pet has sustained an eye injury, has an eye infection or an internal medical condition that is affecting the eyes, or is recovering from eye surgery, it may be necessary for you to give one or several medications into the eye(s) to help with healin g. At first the idea of one person giving eye medications to a wiggly pet may seem like a daunting task, but it is possible. Practicing the following approach should help you safely deliver the recommended eye medications into your pet’s eyes. Depending on the severity of the eye problem, one or more medications may have been prescribed for your pet. The first step in handling eye (“ophthalmic,” “ocular”) medications is understanding how much of each medication to give, when to give them, an d which ones (if any) should be refrigerated. This information is on the label of most eye medications and can be explained to you by a veterinary technician if it is unclear. It is common to be required to give eye medications from 1 – 8 times daily, equall y spaced apart over time throughout the day. In some situations, continuing a schedule through the night may be important in the short term to prevent progression of an injury or infection and to potentially avoid eye surgery. In these situations, you shou ld discuss with your veterinarian what the best schedule is before your pet leaves the hospital. It is also common to need to place an Elizabethan collar (E – collar, “lampshade”) on your pet. This simple device can be tremendously helpful in protecting the eye from your pet’s desire to rub it, especially once it starts to heal and becomes itchy. These collars provide the best protection when they are worn 24 hours a day, since it only takes a few minutes to damage delicate tissue that has taken days to heal. 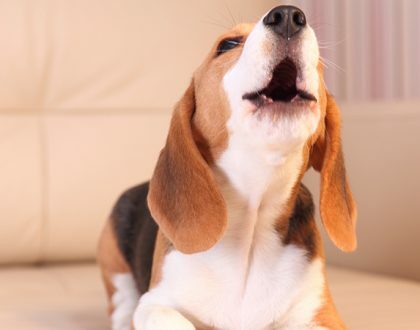 With medium – or long – nosed dogs, an E – collar can be kept on when administering eye medications, but with short – nosed dogs and many cats, it is easier to remove the E – collar and then replace it after giving the medication. If you r pet is extremely energetic or has a small face or short snout, it may be more difficult for you to get medications into the eyes. At first, it may be helpful for you to have a second person available to help hold the pet still. If you are applying more t han one kind of drop, or both ointment and drops, then be aware of timing and order of administration. Drops are always first, and ointments are always last; otherwise the ointment can create a barrier that prevents the drops from working. To allow absorpt ion of each medication, it is ideal to leave 5 – 10 minutes between giving each medication. Allowing for extra time in your daily routine to accomplish this type of schedule is almost always necessary. In some cases, this is temporary (if the injury or disea se is cured), whereas in other cases this type of treatment continues long term or permanently. 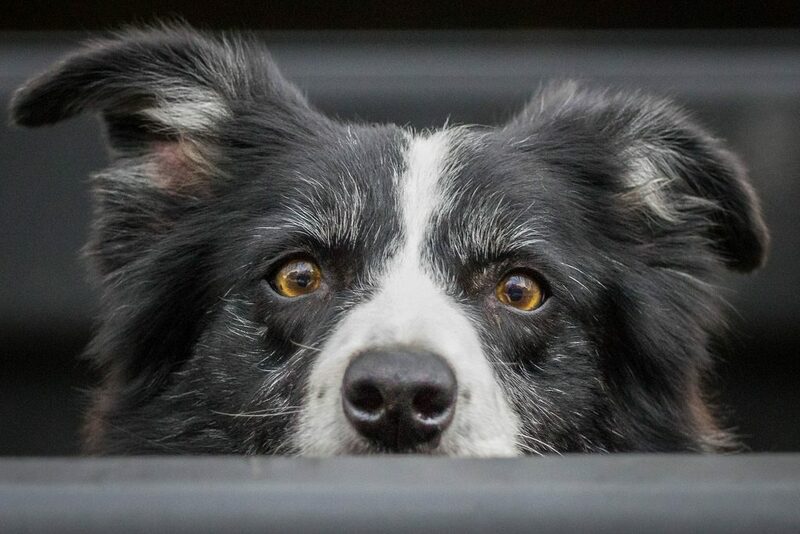 You can ask your veterinarian about what is expected in terms of having to continue to give ocular medications. First , situate yourself so that you can hold your pet’s head. For cats and small dogs, this means putting them on your lap or placing them on a table. For medium and large dogs, this means kneeling down or arranging them so their hind end is between your knees or ankles while you are standing. This approach should also help keep them still. Second, lift your pet’s head so the eyes and nose are pointing as straight upward as possible, ideally towards the ceiling. For a right – handed person, this is done using the left hand. hand, w hich is still elevating the chin to keep the head pointing towards the ceiling, to draw down the skin below the lower eyelid, further exposing the eye. Without allowing the applicator tip to touch the surface of the eye , bring the bottle/dropper close to t he eye, and squeeze the bottle such that the correct number of drops of the liquid medication falls onto the eye surface. OINTMENT: Using the same approach described for drops, squeeze approximately a 1/4 – inch strip of ointment from the tube, and drape thi s strip of ointment across the surface of the eye, again taking care not to touch the eye with the applicator tip. * When finished, close the eyelids, and gently massage the strip of ointment over the surface of the eye. *An extra precaution is to elevate t he third eyelid. To do this, simply place gentle pressure with the tip of your left middle finger (which is helping hold the lower eyelid down) on the skin below the eyelid. This pressure on the skin of the eyelid, directed inward into the eye socket, elev ates a membrane that rises across the eye: the third eyelid. The advantage of doing this is to further protect the surface of the eye from any contact with the tip of the ointment tube, in case of a sudden head movement. Some surgeries to the eye require t hat the lids are temporarily secured closed with sutures (stitches). Some infections or traumatic injuries cause massive swelling to the eyelids. In both these cases, sometimes only a small portion of the eye can be seen. Often, the visible portion of the eye is the corner near the snout. In giving eye medications in these situations, the approach described can still be used, but the drops or ointment are placed in the corner of the eye. Drops should run across the eye (under the eyelids) easily on their ow n. Normal movement of the eye will help distribute ointment. If you find that it is only possible to give eye medications by first removing your pet’s E – collar, be sure to protect the eyes from rubbing against the collar when you remove or repla ce it. For example, if you slip the collar over their head without taking the collar completely apart, you should hold your hand over their eyes as you slide the collar back into place. This will help prevent damage to the eye(s). Each morning my pet’s eye has dried discharge on it. Is that a problem? A small amount (dry rice grain size or less) of black or yellow material is normal. Larger amounts are common with recovery from infection, traumatic injury, or surgery. If it is dri ed and caked, it should be removed to prevent a deeper infection. Hold the corner of a clean washcloth soaked with lukewarm water on the dried material to help it soften. Then gently wipe it away. My pet had an infection in one eye, but now the other eye l ooks red/itchy/has discharge. What do I do? This could be evidence that the infection has spread to the other eye. However, there are other explanations (such as allergy flare – ups) that can masquerade as a spreading infection. You should call your veterina rian or schedule a recheck appointment to determine the appropriate treatment. I simply cannot get the medication in the eye. My pet shakes away, and I’m afraid I’ll cause more harm than good. What do I do? There are some oral medication substitutes (syrup s, tablets, etc.) and some injections that can help with certain eye problems. 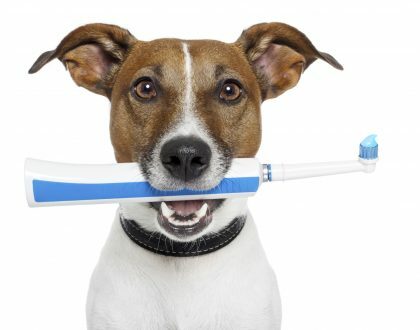 Above all, the first rule is to do no harm: if you are concerned you may hurt your pet — or may get hurt (e.g., bitten) — then do not administer the medication, but do call your veterinarian back the same day to make an appointment and review whether there is a different technique, or a different form of medication altogether, that is preferable. 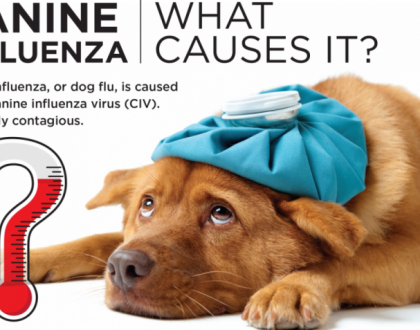 Canine Influenza: What Symptoms Require a Call to the Vet? New York Veterinary Practice offers full-service veterinary care at all Biscuits & Bath locations with a focus on preventative care. In addition to general wellness care (i.e. vaccinations) NYVP also offers ultrasounds, surgical procedures (including spays/neuters), deep dental cleaning, and national/international certificates.